2: Is Sweetness Steering the Chinese Palate for Sake? 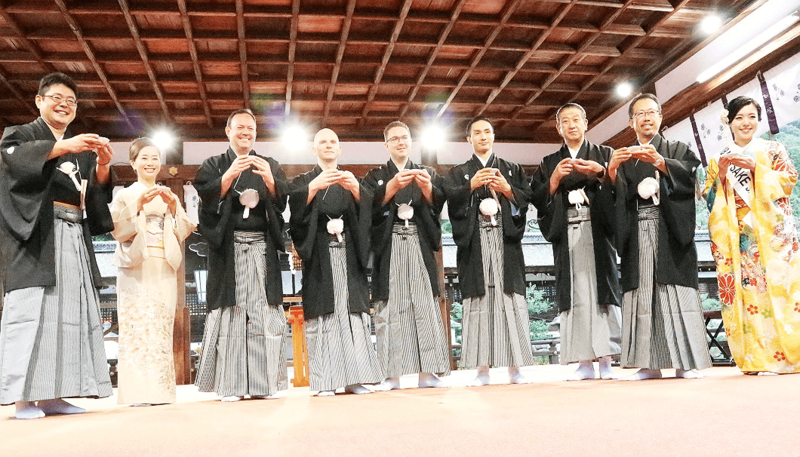 This year’s Sake Samurai Induction Ceremony was held at the historic Matsuo Taisha shrine in Kyoto on 26 September adding seven new members to the growing ranks of Sake Samurai worldwide. 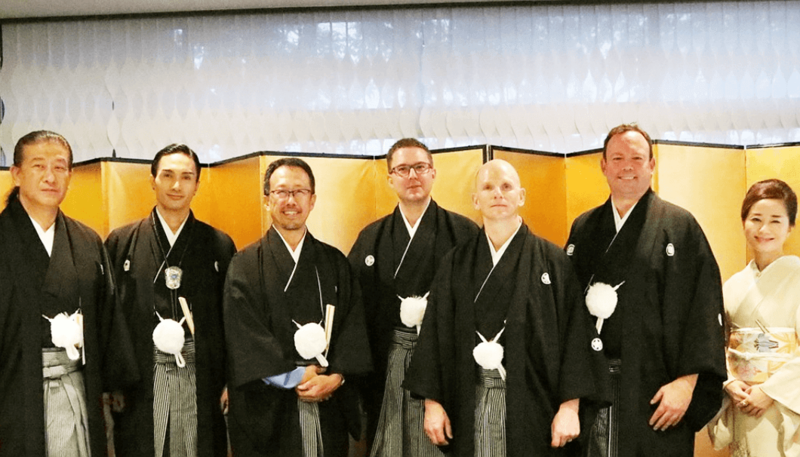 The Japan Sake Brewers Association Junior Council bestows the title of “Sake Samurai” on those who work hard to help promote the splendor of sake both in Japan and around the world. Since its inception in 2005, there have been 70 recipients of the honor. Caption: newest sake samurai; (from left) Motoyoshi Kaburagi, Kenchi Tachibana, Kenichi Ohashi, Alexander Koblinger, Michael Tremblay, Patrick Ellis, and Rachel Chan. A group with diverse backgrounds were selected by the association (from left): head of the prestigious Kutani Kiln in Ishikawa Prefecture and tireless promoter of his earthenware sake cups both home and abroad, Motoyoshi Kaburagi; leader of pop group Exile The Second who travels the nation both learning and teaching about sake’s many wonders, Kenchi Tachibana; president of Yamajin liquor stores and certified Master of Wine who oversees the sake event of the International Wine Challenge, Kenichi Ohashi; Austria’s Sommelier of the Year 2014 and strong proponent of sake in his nation’s high-end restaurants, Alexander Koblinger; one of only five sake sommeliers in Canada and one of country’s foremost educators of it, Michael Tremblay; president of Blue Note Wine & Spirits Inc., the largest distributor of sake to Canada and the US, Patrick Ellis; and the radio host of Funrise on Tokyo FM J-WAVE, MC to numerous sake-related events and sake expert Rachel Chan. 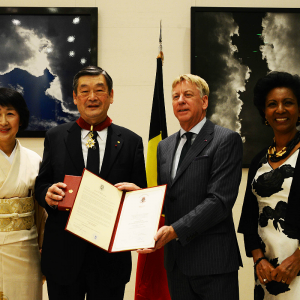 Although the scene around Matsuo Taisha was a drizzly rain the day of the inauguration, spirits ran high as our newly appointed ambassadors vowed to continue fighting the good fight for global sake recognition. Kampai! Is Sweetness Steering the Chinese Palate for Sake? From 24 to 26 September, the First Asian International Japanese Sake Competition, SAKE-China, was held at the Japanese Embassy in Beijing, China. 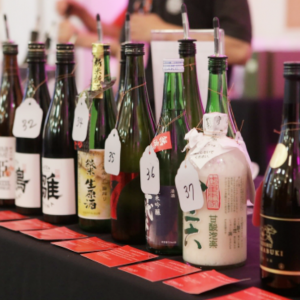 During the event, about 800 Chinese residents sampled and scored 137 different kinds of sake from 62 breweries operating in 24 prefectures of Japan. Watanabe Sake Brewery in Hida City, Gifu Prefecture was the biggest winner of the event with six different types of its Horai brand sake taking home awards, also earning the brewery the Jury’s Special Award. However, the competition’s most prestigious award, which goes to the sake with the highest overall scores, The Golden Dragon Award, went to Gokujyo Amakuchi from Hyogo Prefecture’s Ozeki Co. Ltd. beverage company. Considering Gokujyo Amakuchi translates to “extreme sweetness,” this win suggests Chinese sake drinkers, by and large, have a bit of a sweet tooth that could well influence the types of sake the country sees imported and promoted in years to come, as Japanese sake breweries battle for the world’s (potentially) largest sake market. Event organizers themselves called the win “unexpected” and an Ozeki rep in charge of overseas marketing admitted he will have to reconsider having been selling mainly dry styles of sake in China until now. The award ceremony being the first of its kind in China, it will be interesting to see how future competitions, entries, and the local market respond in the years to come. Sake continues to infiltrate all types of arts and businesses, this time appearing at this year’s Tokyo Game Show among the most highly anticipated video games of the year. 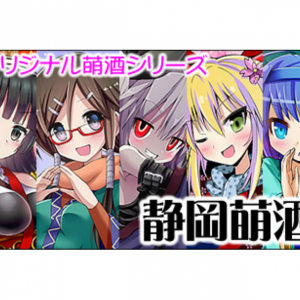 Developer Smile Axe held a booth exhibiting their upcoming game Moeshu Box in which popular sake brands are transformed into fighting anime girls. 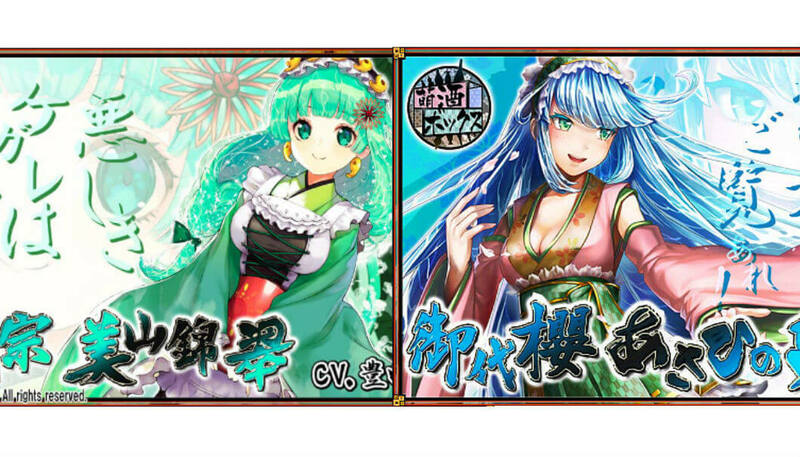 The game’s developer is currently working with about 50 different actual sake brands such as Miyozakura’s award-winning Asahi No Yume and the top-selling Oumon Daiginjo, with hopes to further expand partnerships and game content in the future. Each sake is represented by a young female avatar with a color scheme based on its logo and bottle design. They are also given hair that is gorgeously animated to flow like liquid, as well as styles and personalities to match whether they are especially dry or sweet sake. The game itself combines elements of brewing simulation and real-time strategy. 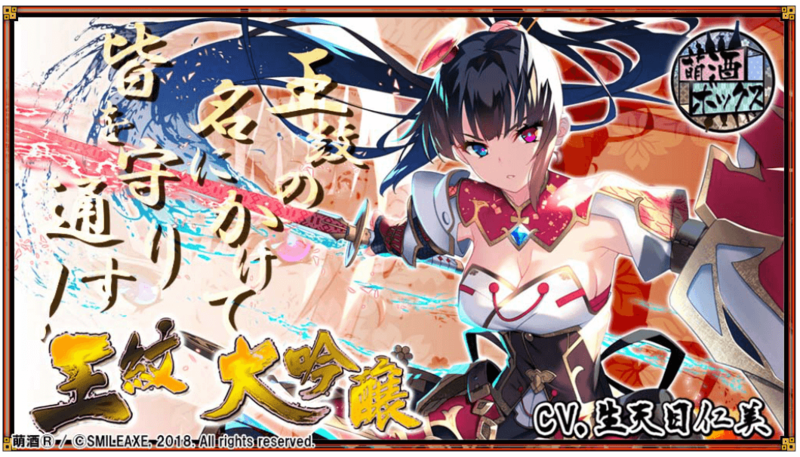 Players manage a brewery and produce various types of sake that become “Sakamori.” These characters are then used to repel attacking hordes of robotic looking monsters called “Kegare” from taking over the brewery. Moeshu Box is still in its early stages, but is expected to be released for smartphones and tablet devices sometime next year. You can keep and eye on its progress by following @moeshubox on Twitter and even make a request for them to include your own favorite sake! By filling out the form of SAKETIMES PRESS Eglish , your news will be presented on this Weekly News section of the SAKETIMES International website.